Euro continues moving inside a very narrow trading range; earlier the market rebounded from the level of 38.2% and then started moving downwards. 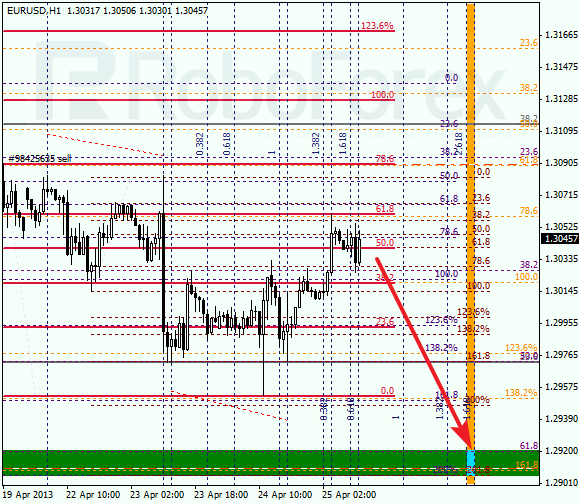 The target is still at the level of 1.2920, where there are three fibo levels at the same time. As we can see at the H1 chart, a local correction reached the level of 61.8%. If the pair rebounds from this level, the price will start falling down again. According to the analysis of temporary fibo-zones, predicted targets may be reached by Friday. Franc is being corrected, however, a local trend is still an ascending one. We can’t exclude a possibility that the market will reach a new maximum, maybe even several. 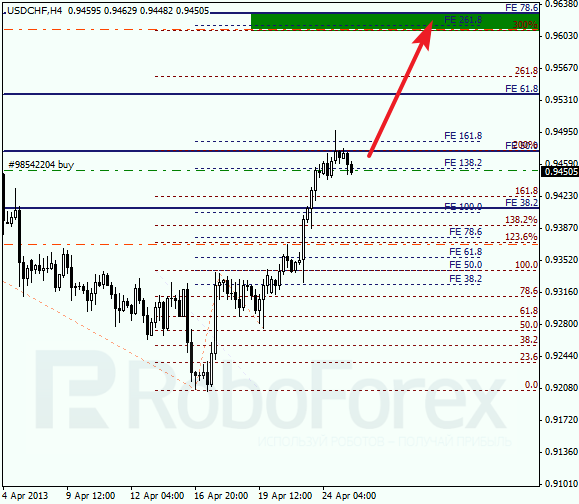 The target is at the level of 0.9610, where there are three fibo levels located close to each other. At the H chart, the market is moving sideways. Most likely, in the nearest future, the pair will start a new ascending movement. According to the analysis of temporary fibo-zones, the bulls may reach the target area by the end of this week.